When it comes to weddings everything costs money and a lot of it, especially wedding florals, but it’s possible to have an affordable bridal bouquet for your wedding if you know what to ask for! Here’s our guide to creating a beautiful bouquet that’s within the budget. Now when we say common flowers, it doesn’t mean you have to go picking wildflowers in your backyard (unless you want to of course). Use flowers that are in season and readily available. Many bridal bouquets use flowers that need to be ordered in, flowers that are harder to grow, less common, and generally a lot more expensive. Using local and seasonal flowers can greatly reduce the cost of a bouquet, especially when there is a lot of flower content. More flowers = more money. Bouquets that are smaller use less flowers are therefore more affordable than the same styled bouquet at al larger size. If you can’t compromise on size, you could also consider choosing a style of bouquet that is less dense with flowers. By less flower density, it means your bouquet will use less flowers at a larger size. If you still want a full looking bouquet consider using larger blooms or more foliage. Speak with your florist and find out what they can arrange for you. Foliage (leaves and other kinds of greenery) is another way to create an affordable bouquet. Foliage is typically less expensive than most flower content. You can still achieve a big beautiful bouquet if you’re willing to have some more green in your bouquet. For those with pollen allergies, beautiful all green bouquets are possible as well! Adding multiple types of flowers and flowers in multiple colours can also affect the price if your florist has to order all kinds of flowers and colours in. Keeping to a colour scheme, with about 3-4 colours at most is ideal, with the colours being common or natural flower colours. “Why are bridal bouquets so expensive?” It’s a question we in the flower industry hear often enough and see brides thinking when they flinch at the price of a bouquet they’ve shown us from Pinterest. A lot more time and effort goes into creating a bridal bouquet than most realize, so we’ve broken down the main differences for why bridal bouquets are more expensive, specifically when compared to the kinds of flower bouquets you may see in a florist shop. Ready-made bouquets in a florist shop have been usually made with seasonal or readily available blooms – flowers that are readily available in the shop. The flowers used are typically quite common and are easy for the shop to get in. For a bridal bouquet the florist needs to order your flowers in to ensure they’ll have the flower stock for your wedding day, and order extra stock to be able to use the best blooms for your bouquet. Bridal bouquets also tend to use specialized flowers or blooms that are not common or not in season. 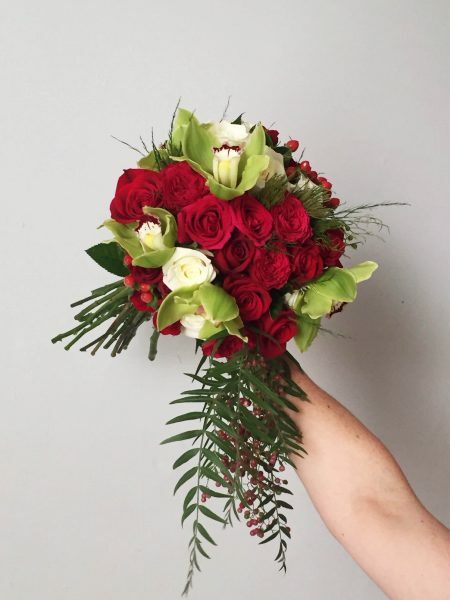 A florist shop bouquet might have been made with multiple others just like it, and would’ve taken the florist a fraction of the time it would’ve taken to make a bridal bouquet. Ready-to-go bouquets often contain fewer blooms, more foliage, and less time. and create the perfect shape for your bouquet. Florist shop bouquets are made when needed or when it’s expected to be busy. Very little organization is required outside of having enough floral stock and giving the florist time to make the shop bouquets. 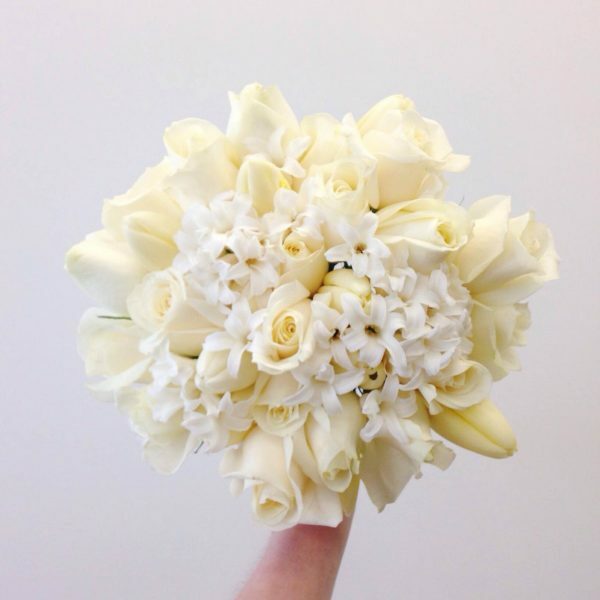 ches that make your bridal bouquet and wedding florals look like perfection. The florist will also need to account for time and craftsmanship if there is any on site wedding setup as well. Spring and summer wedding bookings begin now! 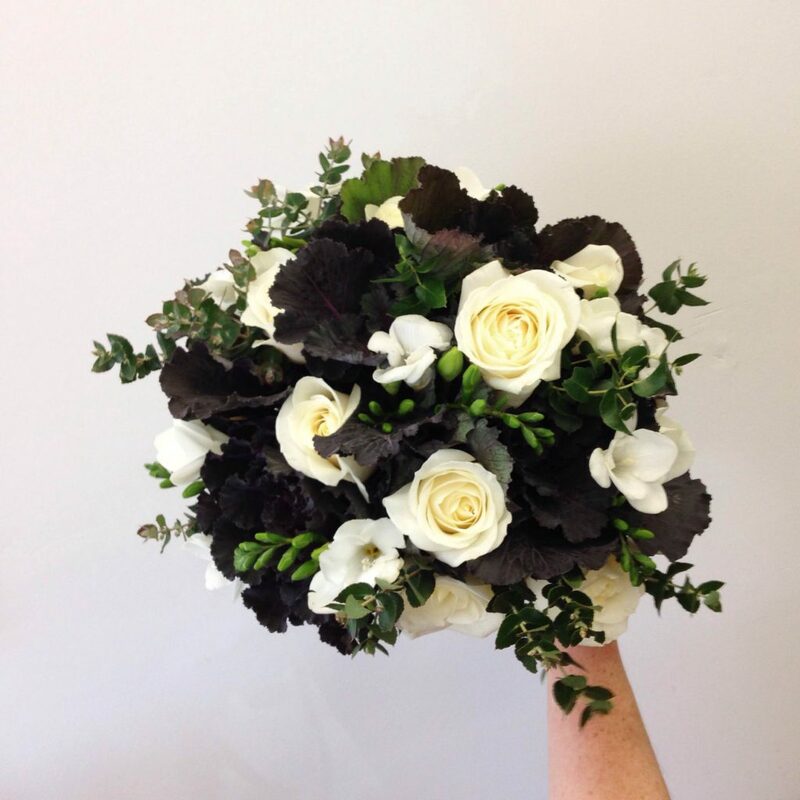 Book your wedding now to ensure we can be your florist! Check out our wedding and in-store work on Facebook and Instagram! No matter your age, mum will always love you, help you, and get you out of trouble. That’s probably why she has an entire day dedicated to her. But can you put into words everything she does, how much you appreciate it, and how much you love her for it? For when you can’t express just how much mum means to you, send her flowers. Always sweet and thoughtful, flowers are full of more meaning than you can say with words. 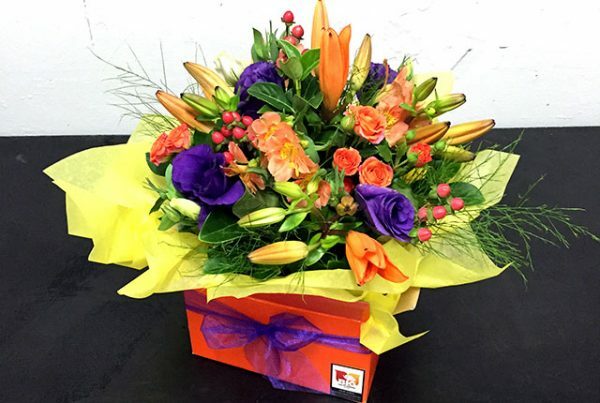 To send her the perfect message, mix colour and flower meanings to say just the right thing. Generally the colour red represents love and romance, pink means joy, sweetness, or admiration, purple is associated with royalty, dignity, and respect, white is innocence, purity, or forgiveness, yellow represents friendship and cheerfulness, and orange means enthusiasm, desire, and passion. But what flowers should you buy for the mums in your life? Full of happiness, love, joy, innocence, and longevity, Chrysanthemums are a wonderful gift for mum to remember to enjoy life’s little moments. Chrysanthemums are just meant for mum! You can never go wrong with Tulips, the flower of “perfect love” because no love is as full and forgiving as mum’s. You’ve tried and tested it many times; you know it must be love. Orchids exude love, beauty, refinement, and fertility – the perfect representation for your wife and mother of your children to show her how special she still is. Sometimes she may forget with the hustle and bustle of everyday life. Remind her that she’s only become more beautiful nurturing your children and your love only grows watching her care for your little family. A timeless classic, Roses are the definition of love and romance. Roses, whether for romancing or showing mum she’s in your thoughts, always convey the perfect message: Love. 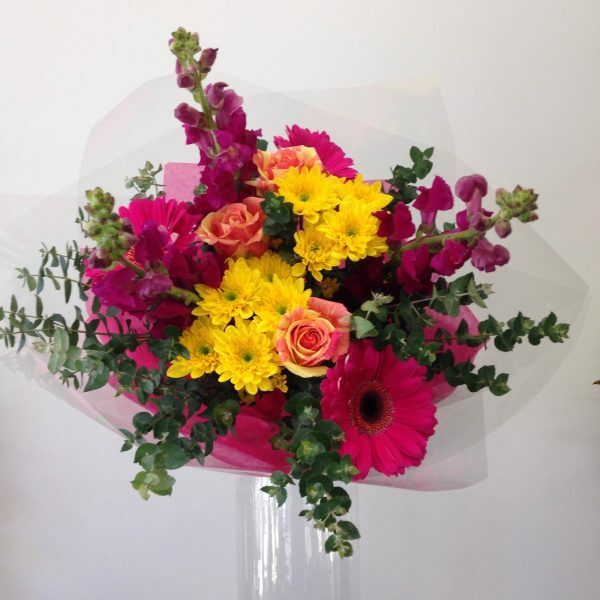 However don’t feel overwhelmed by colour and flower meanings, her favourite flowers or flowers in her favourite colours are just as great because of the thought you’ve put into your gift and thoughtfulness into making her feel appreciated on Mother’s Day. Drop by in-store to see our ready-made pastel posies, bright mix bouquets, and arrangements to find the perfect match of mixed flowers for mum.